The world of desktop audio has become crowded of late with dozens of excellent loudspeakers, both passive and powered, that offer excellent sound quality at every possible price point, from such manufacturers as Audioengine, Dynaudio, KEF, Pioneer, PSB, Spendor, Wharfedale, and Zu Audio. As more and more listeners drift away from the traditional listening room and into the world of headphones and desktop systems, the demand for compact and/or wireless loudspeakers continues to grow. Now, in 2014, as listeners aged 25 to 35 increasingly use a laptop or smartphone as their primary audio source component, consumers value convenience, accessibility, and portability. As growing numbers of these younger listeners jump aboard the train offering portable USB DACs, premium headphones, and headphone amplifiers, it’s likely that the next generation of audiophiles won’t be sitting down to listen to music in dedicated listening rooms, and that’s something that the audiophile community needs to be aware of. 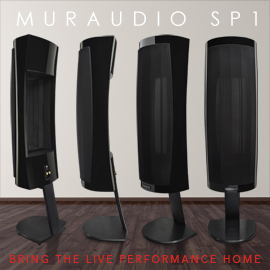 No one needs a dedicated, $40,000 audio system to enjoy music, and it’s clear that the folks at Audience understand that -- their ClairAudient One loudspeaker ($995 USD per pair) is targeted directly at the new listener who values high-quality sound, but is unwilling to turn his or her living room or office upside down to get it. The output of the ClairAudient One’s single, proprietary, A3S 3” titanium-alloy cone driver is reinforced by a 4” passive radiator that occupies most of the speaker’s rear panel. The One’s rather inert enclosure measures only 7”H x 5.5”W x 7”D and weighs a paltry four pounds. Its optional desk stand ($75/pair), a pair of which Audience supplied, should be considered mandatory, and brings the total price to $1070/pair. The One is available in a high-gloss finish of black. The frequency response Audience claims for the One is 50Hz-23kHz, when placed on a desktop or close to a wall. The impedance is 8 ohms, the efficiency 84dB. Being a single-driver speaker, the One has no crossover, and is internally wired with Audience’s own Ohno continuous casting (OCC) monocrystal wire. On the rear panel is a single set of high-quality binding posts. Setting up the ClairAudient Ones is relatively easy, regardless of how you use them, and that versatility should make them attractive for listeners with limited space. The stand angles the driver upward, and while that should work fine for most placements on a credenza, media unit, desktop, or inside a wall, I don’t recommend placing the speakers atop another pair of speaker stands well away from any walls, just for the sake of improving the imaging capabilities. What you might gain in soundstage depth and width you might lose in bass response -- the One genuinely benefits from some form of boundary reinforcement. To confirm my suspicions, I placed the Ones atop a pair of 24”-high Atacama stands and pulled them almost 5’ into the room. I was immediately struck by the depth of the image, but also by the lack of bass. And they looked odd atop tall stands -- I can’t imagine that Audience expects them to be used that way. My basement office is a fairly large corner alcove with high ceilings, carpeted floors, and rather thick, insulated walls that deaden the sound. It’s worked well for home-theater sound, and with almost every speaker I’ve tried on my desktop. My solid-wood desk measures 84”W x 30”H x 26”D and is set directly against the wall behind it. I tried the Ones at various distances (4” to 8”) from that front wall and from each other, and ended up with them 5” from the wall, almost 4’ apart, and pointed directly at my chair, between them my 24” iMac. But there was a problem. Because I’m 6’ 3” tall, the stands pointed the Ones’ drivers directly at my chest, not my head. While it wasn’t an ideal solution, I set the stands on 3” walnut cubes that I’d made a couple years before for another pair of speakers. That had a noticeable impact on the openness of the sound and the overall tonal balance. Placed atop the 30”-tall media unit in my den, the Ones on their stands worked better -- I was now sitting much farther away from them, and lower. I pulled the stands almost 10” away from the wall and separated the loudspeakers by almost 5’. Cold out of the box, the ClairAudient Ones sounded slightly reticent and less than inspiring -- but after 20 to 30 hours of break-in, these minimonitors really opened up. Lorde’s Grammy-winning “Royals,” from her best-selling Pure Heroine (24-bit/48kHz FLAC, Lava Music/Republic/HDtracks), craves speakers that can make it extend well into a listening space to envelop listeners who want to get their funk on. The Ones did just that, and while their low-end response was limited by their 3.5” drivers, they more than energized my basement desktop office. 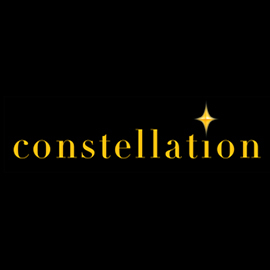 The Ones also delivered convincingly for desktop minimonitors intended for more than background music, with a forward sound with excellent detail retrieval and an expansive soundstage that extended well beyond their small enclosures. John Fahey’s melancholic, brooding “Sunflower River Blues,” from The Best of John Fahey: 1959-1977 (16/44.1 FLAC, Takoma), is a fantastic display of the late guitarist’s unique picking style and the rich tone he was able to create. 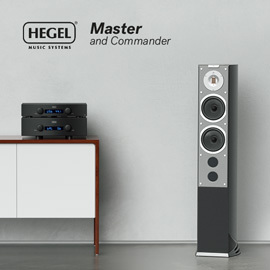 While lesser speakers tend to obscure the nuances of his technique or the ridiculous levels of decay that hang in the air between notes, the One put on a genuine clinic, earning nasty stares from the KEF LS50s, which now sat on the floor. I’ve lived with the KEF LS50s ($1499/pr.) for some 15 months now. 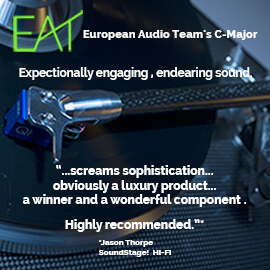 They’re superior to the Ones overall, but the Audiences were no slouches in coherence and resolution, and, for a desktop system, might be the better choice if your listening room is of small to medium size or you do most of your listening in the nearfield. The One, however, can’t compete with the LS50 if you’re looking for full-range speakers that will be fed a steady diet of Daft Punk, Lana Del Rey, Shostakovich, or Depeche Mode, if your listening space is comparably large, and if your neighbors, spouse, and/or landlord won’t be beating down the door when you push the volume really loud. “American,” from Lana Del Rey’s addictively dirty Paradise (16/44.1 FLAC, Polydor), has a slightly rough edge that shows up even on vinyl, and the digital download can sound somewhat harsh in the upper registers if your system leans toward the analytical side of the Force. Partnered with the brilliant-for-the-money NAD D 3020 digital hybrid amplifier ($499), the ClairAudient One lost some of its status as a detail-retrieval maven in exchange for a warmer sound -- but that suited Del Rey just fine, and made my frequent replays of “American” more than a little trance-inducing. Fans of jazz and classical music will find much to admire in the One -- its tonal balance, transient response, and retrieval of detail favored pretty much everything but the most complex and largest-scale symphonic works. In the latter case, the laws of physics don’t work in the One’s favor; if you plan on listening to large orchestral works at above-average listening levels, you’ll need a subwoofer. The recent high-resolution download of Miles Davis’s iconic Kind of Blue (24/96 and 24/192 FLAC, Sony/HDtracks) is a recording not to be missed, even if you already own ten different versions of the album, and the One absolutely soared with “Blue in Green,” rendering Davis’s horn with the requisite bite but without chewing my head off. The Ones also reconfirmed their ability to throw a relatively wide, deep soundstage with a number of the chamber and jazz recordings that I played through them. At $995 (all prices per pair), the Audience ClairAudient One is not without some stiff competition: the KEF X300A, Wharfedale Diamond 10.1, the PSB Imagine Mini, even the Zu Audio Cube. The powered KEF X300A ($799.99) is slightly cheaper than the One but has greater low-end authority, if a slightly drier sound. The X300A is an excellent desktop minimonitor, but doesn’t quite offer the coherence and resolution of its award-winning sibling, the LS50, and one would really need to like the X300A’s more neutral tonal balance to pick it over the One. The PSB Imagine Mini is an all-around great-sounding speaker for $760. 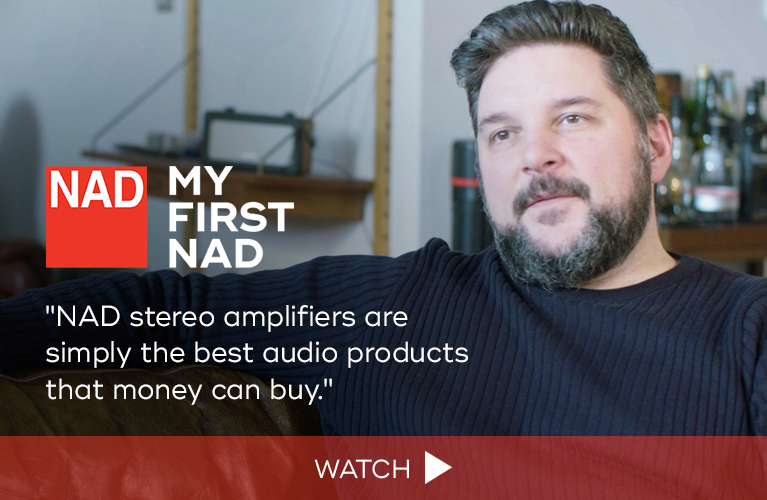 Teamed up with something like NAD’s D 3020 integrated or Wadia’s 151PowerDac Mini, it makes a convincing argument for not spending more on a pair of speakers. The Imagine Mini sounds similar to the ClairAudient One; each offers a balanced sound, along with fantastic detail retrieval and imaging. The PSB is easier to set up on a 24”-high stand than the One, and can be placed farther out into the room without as great a sacrifice in bass response. Although the Zu Audio Cube ($1440) and the Audience ClairAudient One are both single-driver loudspeakers, they could not sound more different. The Cubes can re-create a wall of sound, whereas the Ones re-created a more precise and finely sculpted presentation with better-defined outlines. Both speakers require a subwoofer for listening to bass-heavy material, but if you crave meatier bass overall, the Zu Cube, on its own, wins on points. The Wharfedale Diamond 10.1 (still a steal at $350) doesn’t sound as refined overall as the ClairAudient One, with a warmer, denser midrange, and a less extended top end that obscures detail. The flipside is that, for a lot less money, the Diamond 10.1 will play lower with greater impact, and has remarkably coherent sound. The Zu Cube and the Wharfedale Diamond 10.1 prefer tube amplification to solid-state; the ClairAudient One’s sound didn’t jell with either of my tube amps, preferring by a considerable margin my solid-state NAD D 3020, Rega Brio-R, and Wadia 151PowerDAC Mini. The Audience ClairAudient One is an extraordinary loudspeaker that delivers sound of far more scale and authority than one would expect -- it would be a big mistake to dismiss it on the basis of size alone. 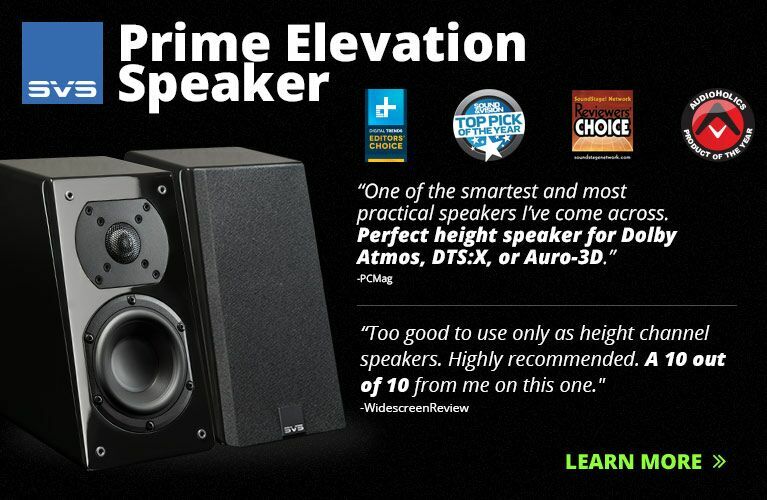 The cleverly designed One seriously challenges costlier desktop monitors in terms of midrange resolution, top-end extension, and overall coherence, and while it requires a solid amplifier to really come to life -- which makes it a more expensive proposition than some of its powered rivals -- it confidently pushes itself up toward the top of speakers costing under $1000/pair. If you’re looking for a pair of high-resolution loudspeakers for a desktop, credenza, or wall unit in the den, the Audience ClairAudient One offers great sound and excellent build quality, and it unassumingly vanishes into its surroundings. Price: $995 USD per pair.